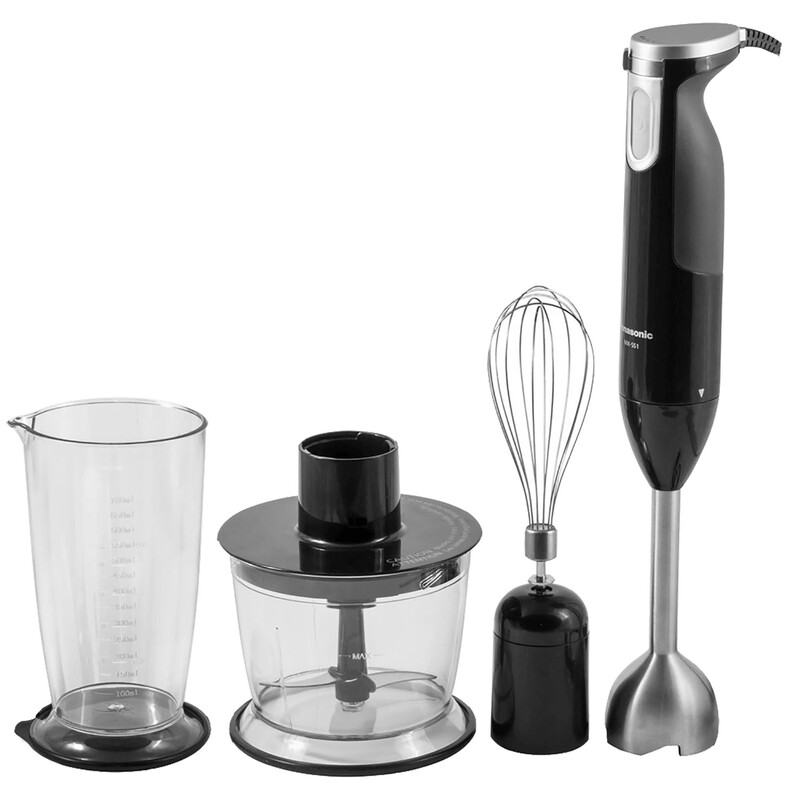 A powerful 600-watt motor drives 2 Straight &amp; 2 Blending Blades for quick, efficient blending. Great for making fast dips and smoothies. The Stainless Steel Shaft goes directly into the pan for soups and sauces. And you can adjust the speed to match the hardness of ingredients for speedy preparation. The Easy-to-Grip Handle snugly fits the hand, and the Stainless Steel Shaft, Beaker and Chopper Bowl are all dishwasher-safe for easy cleanup. The Hand Blender also stores neatly on the Wall Bracket to keep the kitchen counter uncluttered, while staying right at your fingertips when you need it.